Imagine you’re the proud owner of a Victorian horse-drawn carriage, and it needs a bit of work doing. It’s a highly specialist job that only a handful of skilled craftspeople can do, so where do you go? Guess what – you go to Wellington. In August I visited Philip Holder, who runs Wellington Carriage Company from a workshop about mile north of the town boundary at Long Lane. 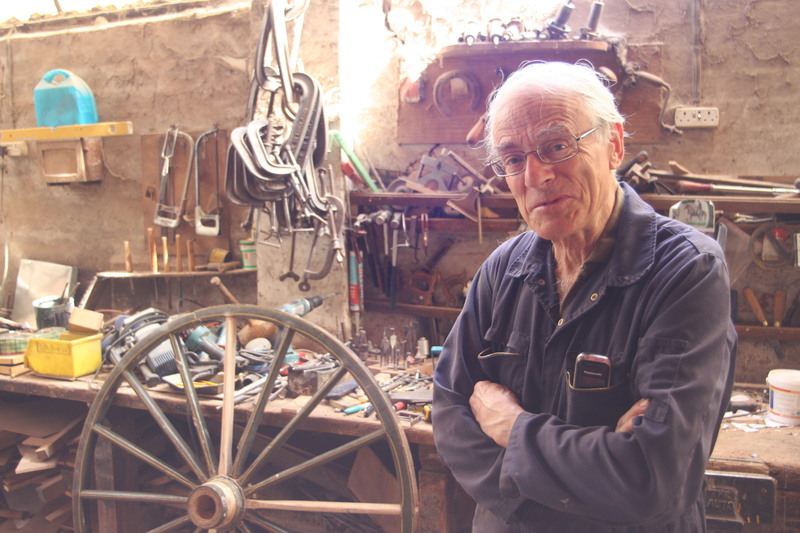 He has been working as a carriage builder on this site for fifty years, and is known for his work across the country – he won a national award in 2012 – yet I’d guess about 99.9% of Wellington folks don’t know anything about the amazing work he does. Philip became interested in carriage building as a teenager when, he tells me, there were still a couple of traditional wheelwrights working locally from whom he began to understand the craft. But wheelwrighting is only part of the carriage-builder’s trade – Phillip not only turns beautiful, perfect wheels; he also builds everything else that goes into a fully-formed carriage. And if you take a look at a carriage in detail – as I did at Philip’s workshop – you realise exactly how impressive that is. Side panels, under-carriages, ironwork, even the leatherwork on the hoods and the upholstery of the elegant period interiors – he does it all. So perhaps surprisingly, a modern carriage-builder has to be MORE skilled than his predecessors 100 years ago, who could rely on buying in mass-produced parts. Over time, other component materials are getting harder to come by as well. Philip says there are now only a few mills that still make the authentic fabrics he likes to use, for instance, and it’s a similar story even for the timber – the traditional English oak and ash increasingly replaced by American alternatives. American ash, he reports, is too hard and inflexible for some of the jobs a carriage builder needs to do, and most of it is kiln-dried which makes it prone to rotting more quickly. It’s rare you see a horse-drawn carriage out on the roads these days, so where is Philip getting his work from? At one time, he was mostly building gigs – small horse-drawn carriages used for sport and pleasure. 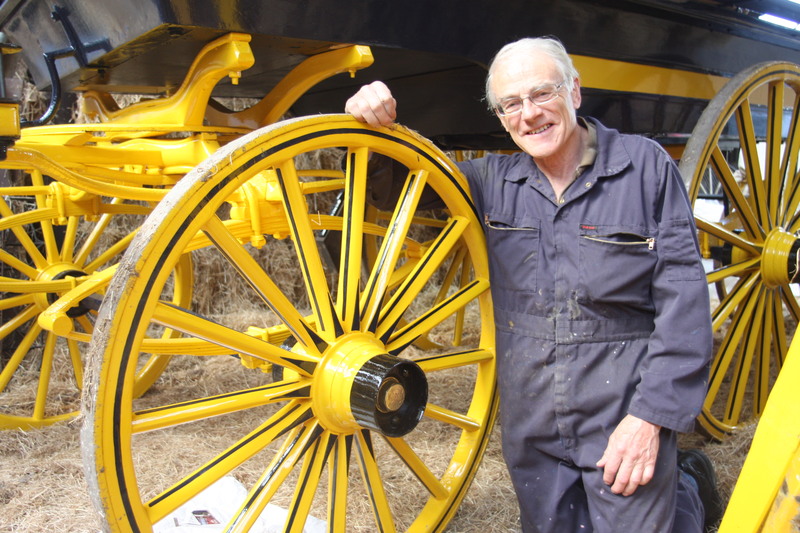 Now his work is mostly repair and restoration, often working with carriages that are a century old or more. Twelve months ago, for instance, he finished a project to restore the carriage of the Bradford family at Weston Park. He gets customers from Wales and as far away as Norfolk, usually finding him by word of mouth or through specialist publications. He’s currently working on four main jobs, and its not uncommon for him to work on a project over the course of a few years. Another aspect of his work is weddings – he provides carriages for about ten a year, which is fewer than he used to but enough to keep him as busy as wants to be over weekends in the summer months. He uses his own carriages (he has eleven – all of which he has built or restored himself), and he also has a team of white horses ready to be pressed into service. Philip has passed the age of 70, but he’s in no hurry to put his feet up. 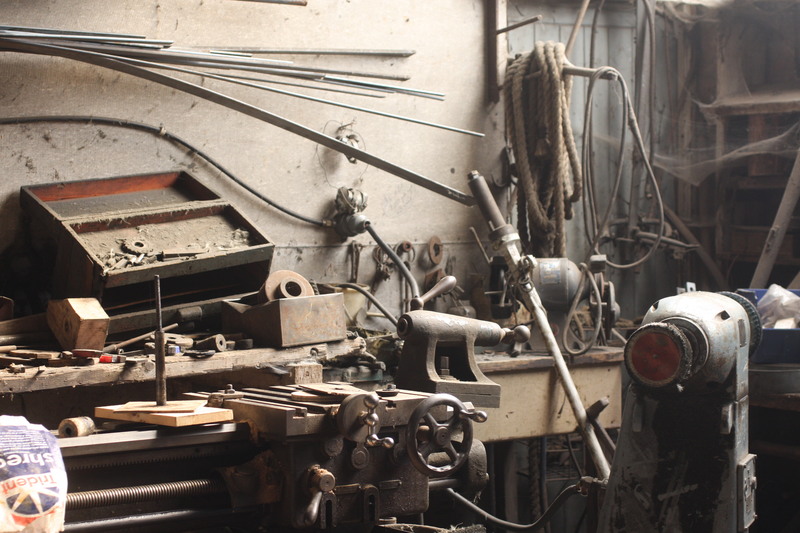 ‘I’d like to do less over time,’ he says, ‘but I think I’ll always be working on something as long as people have jobs for me to do.’ Judging by the incredible craftsmanship evident all around his workshop, people will be sending work his way for a long time to come.